Obviously, the best hiking shirts are the shirts that are the most comfortable. But what does this mean? Well, to be a little more specific, the best hiking shirts need to be good fitting and allow natural motion. However, “the best” also means it needs to be the best for your specific conditions as well. Will you be hiking in the winter? The summer? Or maybe you will be climbing so much elevation that you will be hot and sweaty at the bottom, but cold and shivery at the top. 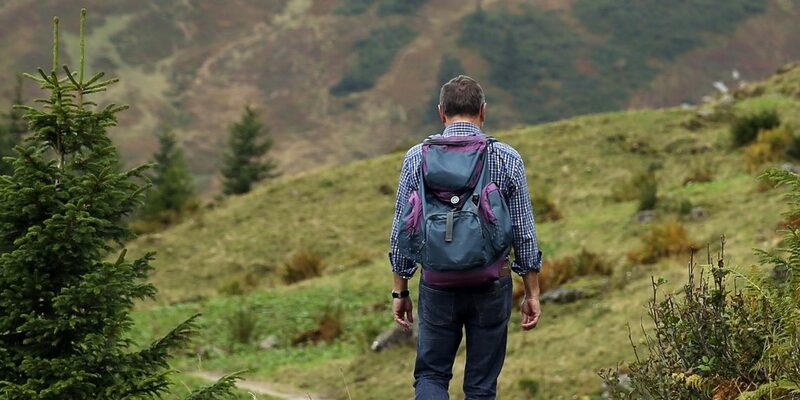 The good news is–there are a lot of really thoughtfully designed hiking clothes out there. In the paragraphs below, we share some of the best options for you for hiking shirts. In our humble opinion, the all-around best hiking shirts out there are the Columbia Tamiami Li . This shirt is 100% polyester, and is mesh-lined, for incredible moisture-wicking abilities. It is extremely lightweight, and has air vents in the back. On top of this, it has a UPF 40 rating, to protect you from the sun’s harmful rays. All in all, an awesome shirt for the outdoor lover. Although long sleeves lend warmth in the winter, and protection from the sun in the summer, not everybody wants a long sleeve shirt when they are hiking. If this is the case for you, then check out the Vapor Apparel UPF 50. This hiking T-shirt is 100% microfiber, so it feels awesome! It is light, has 50+ UPF protection from the sun, and is moisture wicking. It’s also anti-microbial, keeping you fresh and eliminating odors. In our book, this is another category that falls to the Columbia Tamiami Li. So, without repeating everything from above, essentially, it’s: lightweight, wicking, and fits awesome! If you decide that you don’t want long sleeves for the day, this shirt has the option to roll your sleeves up and and button them above the elbow (although in fairness, many long-sleeved shirts have this). If you aren’t sold on the concept of a “button up” shirt, another great choice for a really solid performing long sleeve shirt is the Vapor Apparel UPF 50. This sucker is comfortable, and like the name indicates, provides UPF 50+ UV protection from the suns harmful rays. Shirts without buttons are also much better fitting and feeling when you use them in a cold weather layering system. It shouldn’t come as a surprise, women get a better fit from clothing that’s designed specifically for them. So if you’re looking for the best women’s hiking shirts, you need to check out the Columbia Women’s Bahama. This shirt has simple styling, clean lines, and a variety of different fit options, to make sure it’s comfortable. It’s breathable, lightweight, and provides UPF protection just like the unisex and men’s versions, but it’s specifically cut to fit women. If for some reason the Bahama isn’t your thing, Vapor Apparel makes a women-specific long sleeve shirt as well. Check it out here. There are some pretty funny hiking shirts out there. Beauty is in the eye of the beholder though, right? So what’s funny to us might not be funny to you, and the other way around. Maybe you will be hiking in the heat of summer, and you want the best lightweight hiking shirt you can find. We don’t blame you, and if we were you, we would get the Columbia Silver Ridge Lite shirt. Like the name indicates, the Silver Ridge Lite is extremely lightweight. This “Lite” version is ripstop polyester, which breathes better and doesn’t absorb as much moisture as nylon so, it dries faster too. The lite version also has an anti-microbial treatment so it shouldn’t pick up stink as much when you’re sweating. Merino wool has long been a favorite among outdoor enthusiasts. Why? Because it is a natural fiber that is extremely comfortable and odor resistant. In cold weather it is a great choice, because even if it gets wet, it is still warm. The main downside of wool is that it doesn’t hold it’s shape or “wear” quite as well as a lot of synthetics. This is why it makes a great fiber to pair in a blend with another synthetic. The best merino wool shirt out there is the Minus 33 Merino Wool. Because this shirt is constructed of “micron” merino wool, the knit is a lot tighter, and it can actually be machine washed and dried. This shirt comes in 8 sizes, with 90% reporting that it fit “as expected” (at the time of writing this). This shirt also makes a great base layer to be combined with other layers. The Minus33 shirt IS long-sleeved. If you want a short sleeve merino wool shirt for hot weather, we recommend the Woolx Outback. A hot weather hiking shirt needs to be lightweight, and provide UV protection. It also needs to fit well and wick well, particularly if you will be hiking with a pack (which is most of us). A shirt that doesn’t fit or wick well, can be bunchy and extra sweaty, which leads to lots of friction and a bad time. Our pick here is the same as our “lightweight” pick from above, the Columbia Silver Ridge Lite. We know you will love it’s airy feel and great UV protection. For complete details, check the description above. Proper clothing can make a big difference in how much you enjoy the outdoors. And in extreme weather conditions, it becomes a question of safety. Do yourself a favor, and make sure that your hiking clothing is working for you. A little planning and money upfront can mean much rosier memories out on the trail (and more of them!). Bon voyage!